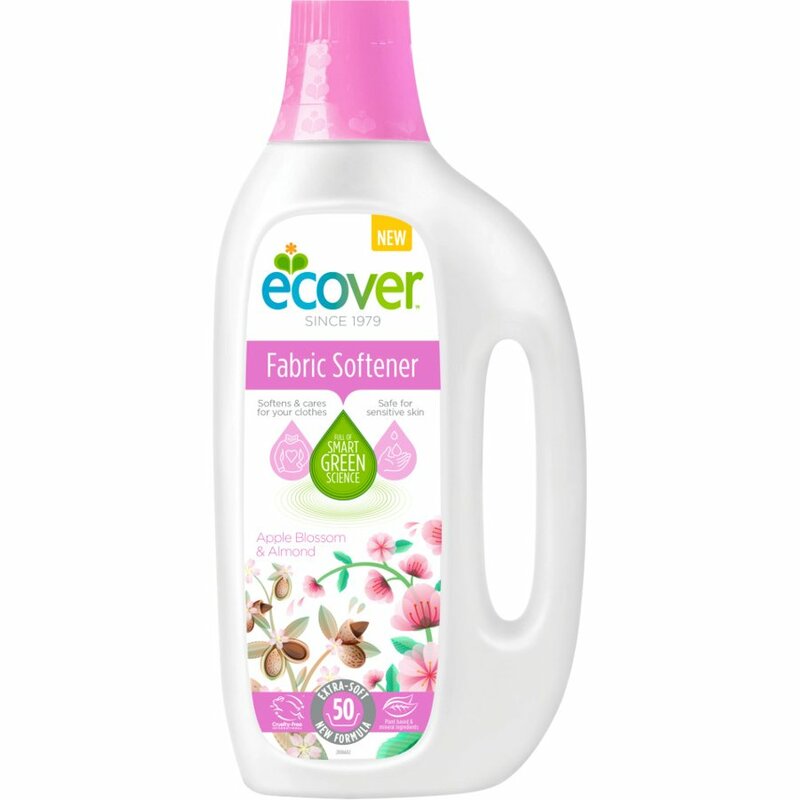 This eco-friendly fabric conditioner from Ecover uses naturally derived fragrance and plant based ingredients that are kind to your skin and makes ironing a breeze while also reducing static. Suitable for septic tanks and 100% biodegradable, the cruelty free fabric conditioner uses 100% recyclable packaging. The Ecover Fabric Conditioner - Apple Blossom & Almond - 1.5L product ethics are indicated below. To learn more about these product ethics and to see related products, follow the links below. Great fragrance that stays with the clothes for a while. I use this everyday on towels, bedding and clothing, it's fantastic. Lasts for ages and makes washing smell lovely and feel soft. There are currently no questions to display about Ecover Fabric Conditioner - Apple Blossom & Almond - 1.5L.